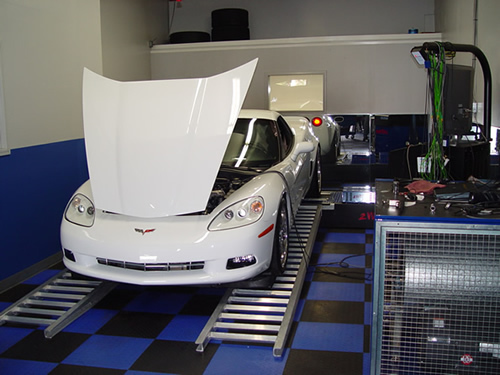 C6 Corvette Z06 Conversion & Custom Dyno Tune. Thomas had some unresolved issues with the performance enhancements that he had done at a competitors speed shop. The performance and workmanship did not meet his expectations. We were able to meet and exceed that level, and in the end gained his trust. His car is now running as he expected and there are no remaining issues. One of the major improvements was the EFI Live Custom Operating Systems two bar MAF less speed density tune which netted him an additional 30 hp at 3,200 and up to 60 hp at 6,500 rpm. Previous tune was done with a HP Tuner. This is why we use EFI Live Software.